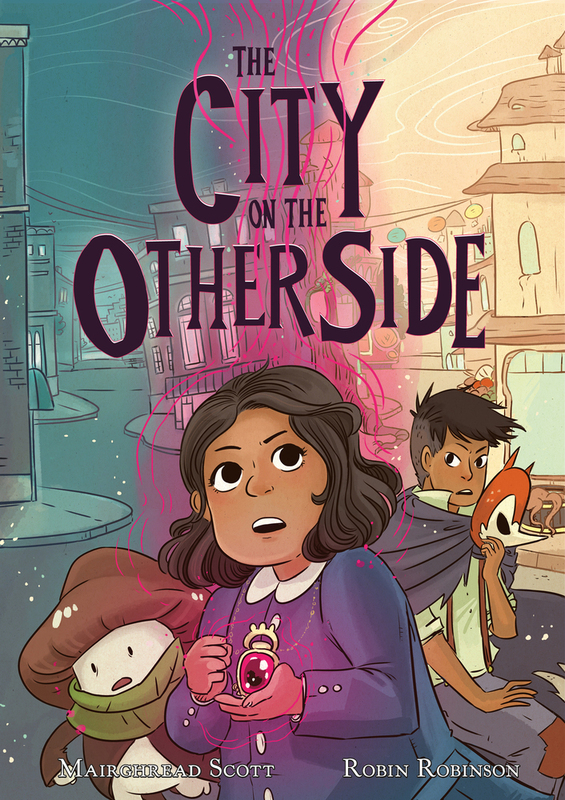 I'll admit not having high hopes for Mairghread Scott and Robin Robinson's The City on the Other Side. It's fantasy and while I've read a bit from the genre here or there, I'd hardly call myself a fan. But more concerning, I recently read a Transformers / G.I. Joe crossover comic penned by Scott and I really didn't enjoy it all all. However, I was won over. Actually, urban fantasy would be a more precise category for the book being set partially in San Francisco, partially "behind the veil" of San Francisco. For Stranger Thing fans, think the upside-down but instead of gorgons, think two sects of warring fairies, the Seelies and the Unseelies. I quite like San Francisco, so I was happy to find it set there and intrigued by the time period, shortly after the 1906 earthquake. Centered around a human girl named Isabel who feels rather ignored by her parents and one day inadvertently finds herself behind the veil, with powers no less! she and her situation are a bit of a trope I would argue. (Could her magical amulet be akin to Dorothy's slippers?) In any case, there's enough creativity in the delivery and details that it hardly matters. I especially liked that war was explained in a way that wasn't completely black and white. Robin Robinson's art was also good, and I especially enjoyed her used of panels. In one particularly interesting sequence, one story is going on in the panels while behind them another is happening; this was especially appropriate considering the whole "veil" idea. This looks to be right up my alley. The seelies and unseelies is also something I've seen somewhere else, maybe the Paranormalcy series. I'm curious if there is an actual legend with those types of fairies. Anyways, gad you enjoyed this one. I'll have to pick it up at the library in the future.